If you follow me on Instagram, you might have seen my recent uploads that show decorating horoscopes for each of the twelve astrological signs. 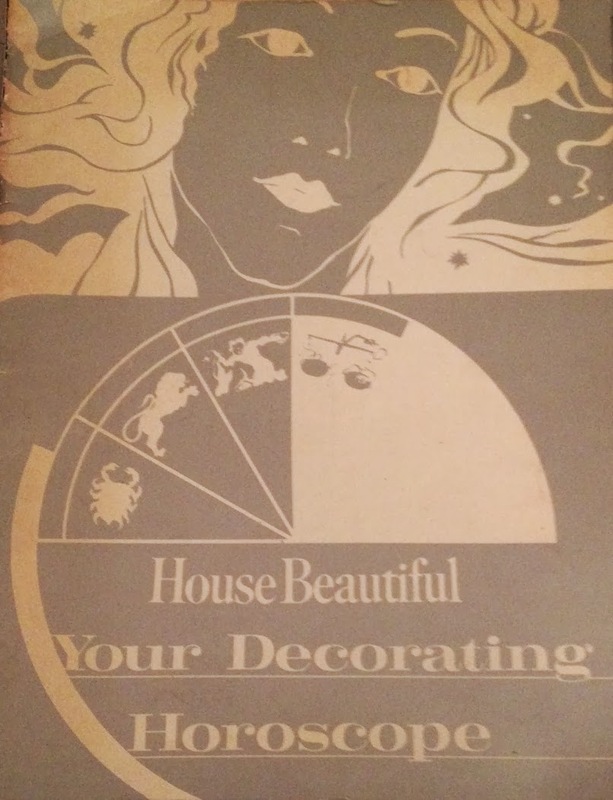 The horoscopes, which also include corresponding room schemes created by top designers, came from the 1969 House Beautiful: Your Decorating Horoscope. The magazine was a gift from a very kind friend, and it has provided me with hours of entertainment. I had no idea that horoscopes could be so much fun. In addition to the horoscopes, the magazine also features a column titled, "Of Planets and Personalities". 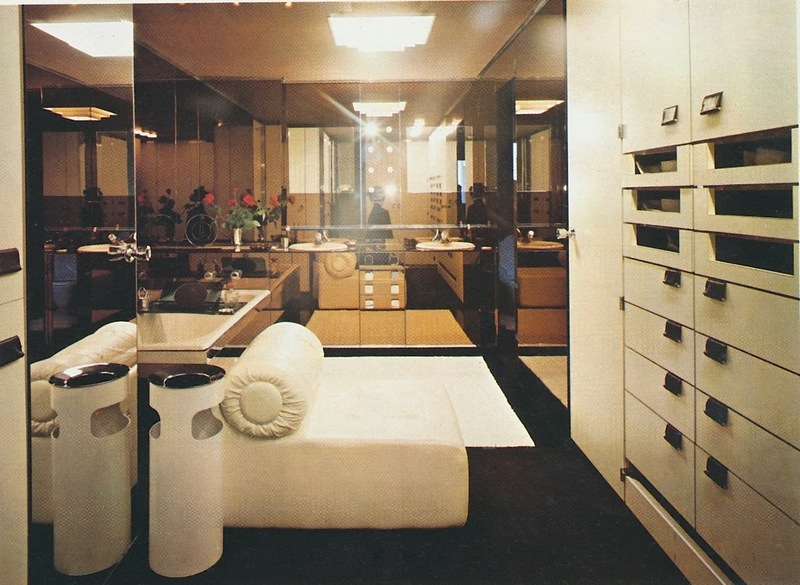 Written by Xavora Pové, a former astrologer for Harper's Bazaar, the column "divulges certain significant relationships between the birth signs and their expressions in planning decor." I'm including some of Xavora's observations below, along with interior photos that I think sum up her predictions perfectly. Kinda brings back memories of Sydney Omarr and Jackie Stallone, doesn't it? "These have extra significance for the Aquarian, the Water-Bearer, whose symbol is the pitcher, open to that from above; for the Piscean, whose psychic, artistic, interpretive genius comes from the highest sources." "Sagittarians shouldn't have unreal anything. 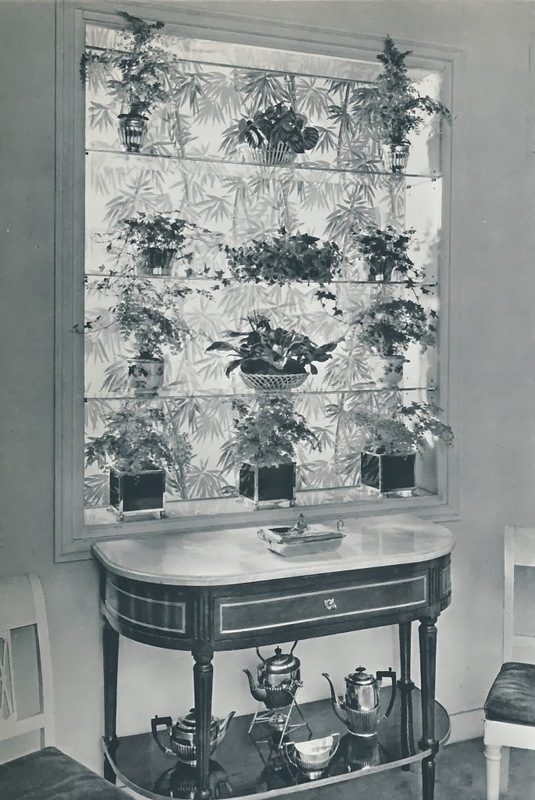 Their live plant displays may vary from the look of an Irish lea to a near-jungle. 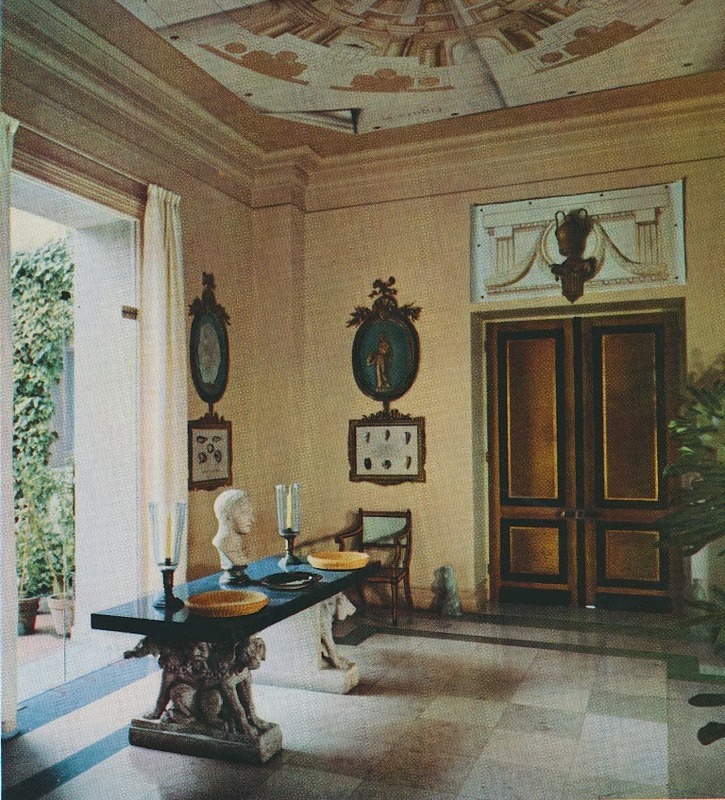 Virgo might prefer the easier care of artificial plants, exquisite ones. The Taurian needs a garden spot, live, even in an apartment. All persons born in air or water signs need growing plants about, in cool well-ventilated areas." 16th-century illuminated antiphonals, hung in the Paris apartment of Pierre Delbée. 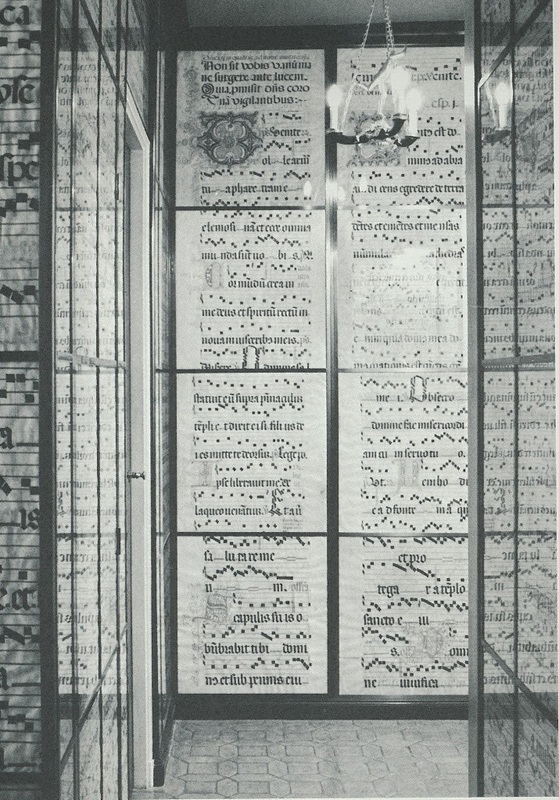 The antiphonals were placed between two mirrors and mounted in stripes in chrome. 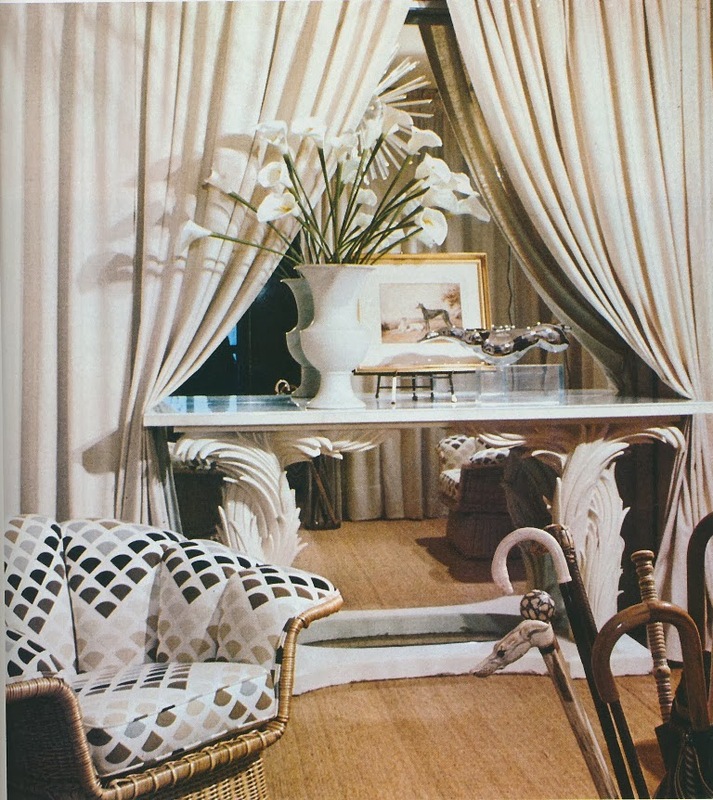 "For Pisceans: music everywhere; glass walls, but with beautiful flowing fabrics." 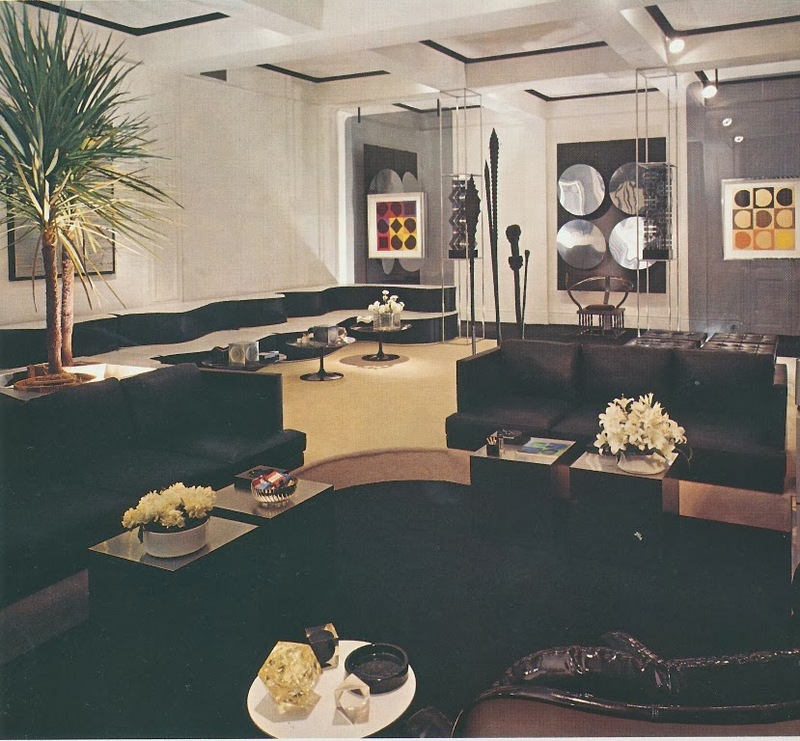 "A basically monochrome room, enlivened by quick touches of all the colors that flash from a diamond's facets. 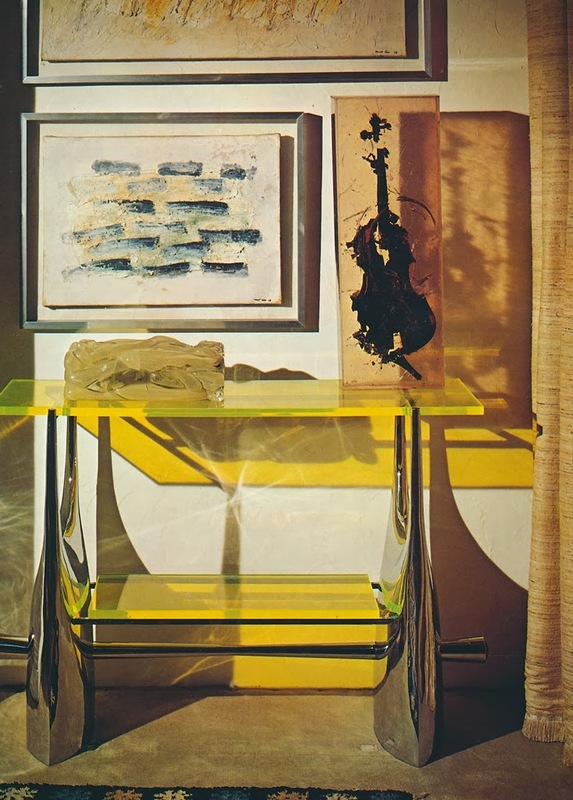 For Aries, white; for Leo, yellow; for Scorpio, black to begin with. All showing the full spectrum in accessories." 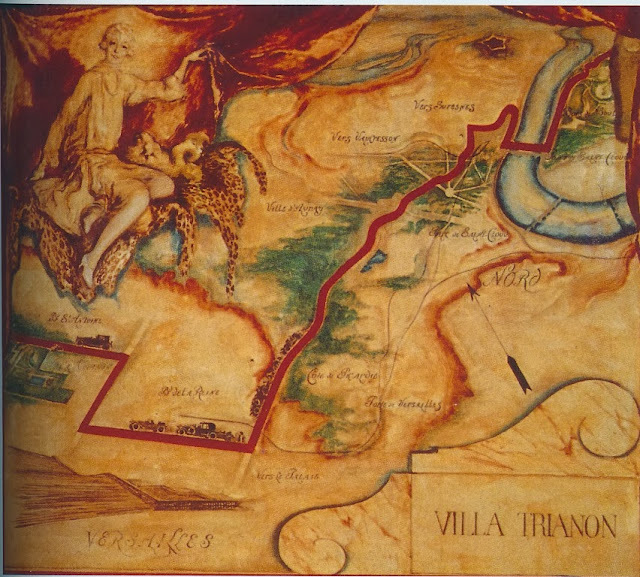 "Virgos loathe being seen at less than their best, need strategically placed mirrors for frequent critical appraisal. For the Piscean, the subtle reflections given by smoky or semi-pellucid mirrors." 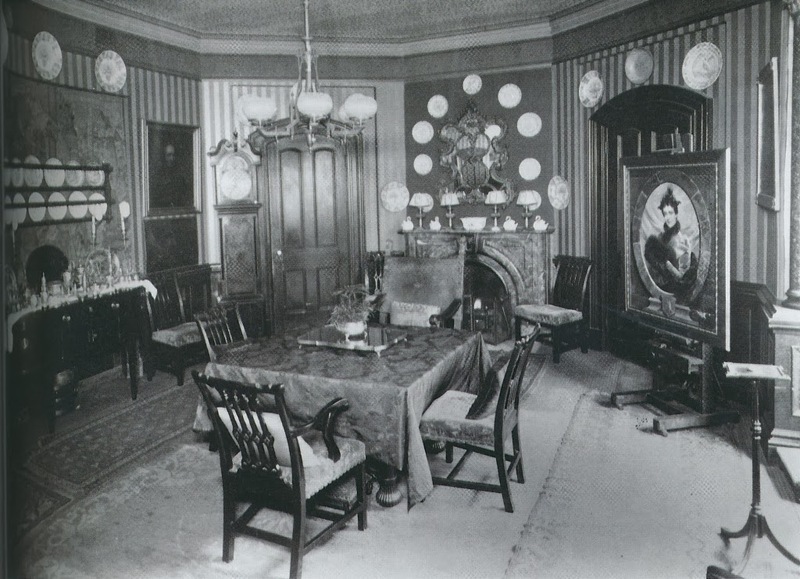 Portrait of Elsie de Wolfe in her dining room on Irving Place. 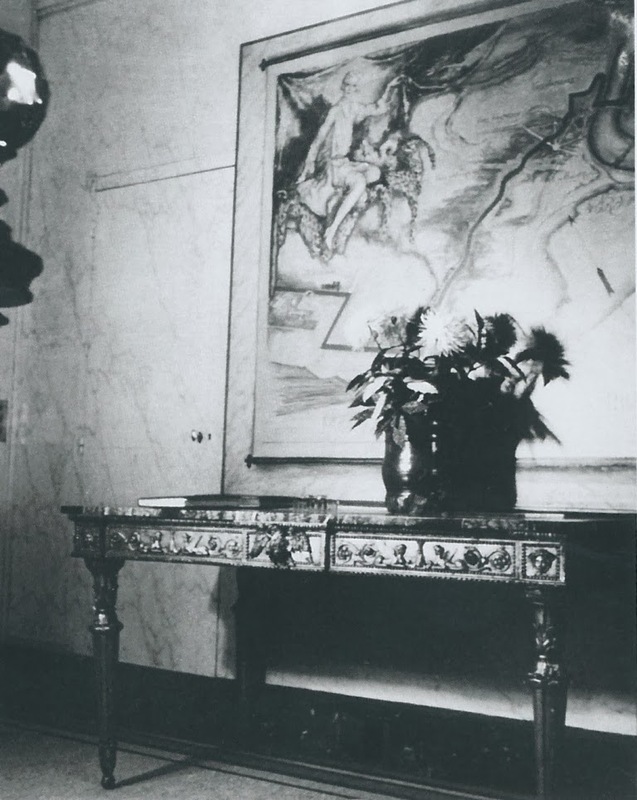 Mural depicting de Wolfe in the entrance hall of Villa Trianon; painted by Drian. 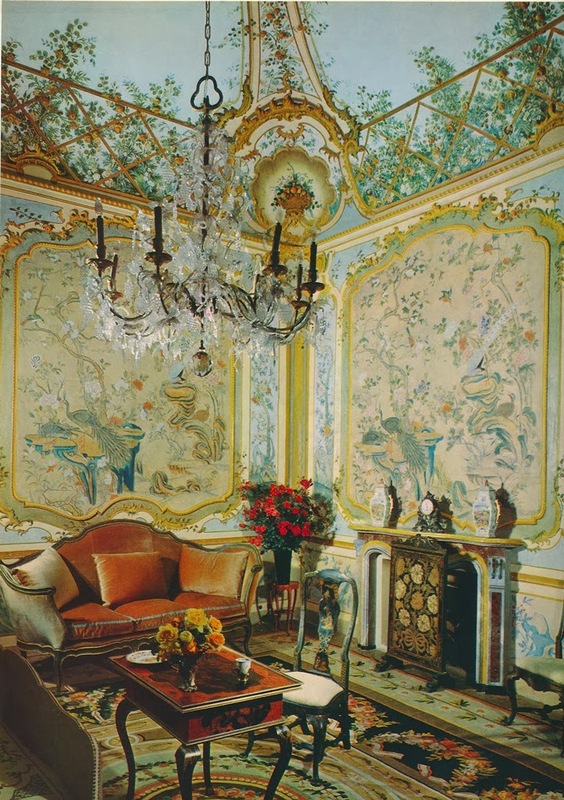 "Most Librans are so lovely they should have their portraits painted. Portraits of Pisceans ought to be impressionistic. An Aquarian's portrait should be commissioned by someone else. Leo would have a self-portrait, prominently displayed." PS- Surprisingly, de Wolfe was not a Leo. She was a Sagittarius. "Most Librans are so lovely they should have their portraits painted" - This is one horoscope insight I'm very flattered to accept! What a fun read! My husband and I are both Leo's, and I had to laugh at the idea of us painting our own portraits. 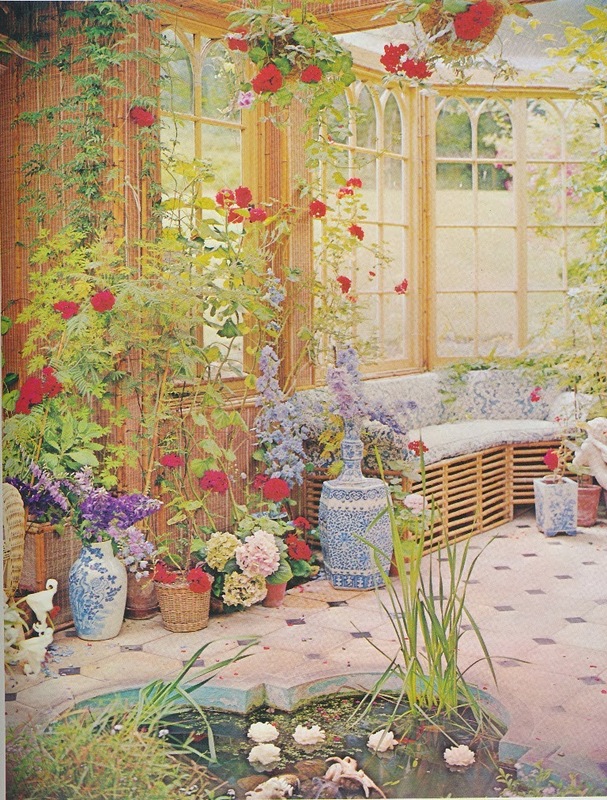 I know it wasn't meant for pisces, but I cannot get past that photo of the blue and white and flowers in the Reddish House conservatory!